The right type of reading has all sorts of psychological and even physical benefits. Fiction helps to increase people’s empathy with others, a handful of psychological studies find. All sorts of narratives, including literary fiction, TV shows and even certain video games could help boost our fellow-feeling. Literary fiction, in particular, which simulates the social world, may help to boost our empathy with others. One study gave people a test of empathy after they had either read some literary fiction or some nonfiction. It was the literary fiction which produced the most empathetic response in people. Writing which challenges the reader to think more deeply could boost mental flexibility, new research finds. People who read poetry and other texts that required them to re-evaluate the meaning showed fascinating changes to patterns of activation in the brain. Greater mental flexibility — which these patterns suggested — allows people to better adapt their thoughts and behaviours to evolving situations. Rather than always being guided by habits, people with greater mental flexibility are better at seeking out new solutions. Reading has repeatedly been linked to creativity. One study has found that, after reading fiction, people have a lower ‘need for closure’ (Djikic et al., 2013). The ambiguous nature of fiction encourages people to accept more ambiguous thoughts. Thinking about and accepting ambiguity is thought to be a key to creativity. When you can entertain multiple perspectives, it is easier to see new possibilities. A study in which participants’ brains were scanned before, during and five days after reading a novel has found persistent neurological changes. The results showed that there were changes in the brain’s resting state that persisted after participants had finished reading the novel. “Even though the participants were not actually reading the novel while they were in the scanner, they retained this heightened connectivity. Learning about other people’s worlds can help to reduce prejudice. One study of the Harry Potter books suggested that they could significantly reduce prejudice against homosexuals, refugees and immigrants (Vezzali et al., 2014). Activities that stimulate the brain have been shown to stave off dementia. And what could be much more stimulating than some challenging reading? One study found that people who read later in life have a 32% lower rate of declining mental abilities (Wilson et al., 2013). Other studies have also suggested that reading is linked to lowered risk of Alzheimer’s. A new study reveals that reading books can enhance lifespan for up to two years and improve the quality of life. 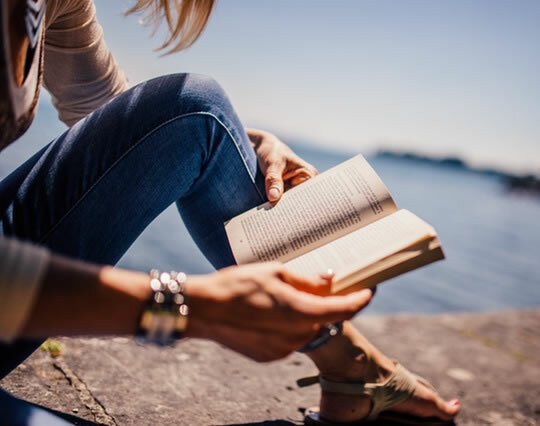 The study found that people who read books for just 30 minutes a day lived two years longer compared to non-book readers.